When I first began my spiritual journey in earnest, I had a vision in which my heart looked just like the shriveled, wizened face of an “apple doll,” all gnarled and homely. It was imprisoned by my bronchioles, the very small branches of the bronchial tubes, which wrapped it so tightly as to strangle it, its branches deeply embedded like roots beneath the surface, squeezing and sucking it into a dry numbness. I fed energy into my heart chakra every night when I went to bed and every morning before I got up, asking for it to open. I walked around with my shoulders back and my chest high, saying, “Come on Universe, sock it to me…I can take it…I won’t bury the pain deep in my body anymore.” But I didn’t really understand at that point what I was asking for or what I would do with that pain should it come. So, mercifully, it was not for an entire year that I finally got to experience some excruciating pain. A choice I had made in a relationship, willingly, turned out to be so very painful…I’d had no idea it would be. I twisted this way and that way, physically feeling the proverbial knife in my heart. I did not attach myself to it by wallowing in it, feeling sorry for myself as a cover-up feeling. I did not over-analyze it, which would have put me in the story in my head instead of the feeling in my heart. I did not become a victim. I did not make myself or anyone else wrong over it, to harden my heart. Nor did I withdraw, deny it, or distract myself by doing things to make me “feel better”, pulling my consciousness from it, allowing it to seep into my tissues for storage and later traumatic retrieval. I found I had to be vigilant every moment to avoid these pitfalls. Instead, for probably the first time in my life, I stayed with the pain and simply felt it, with no judgment or wanting it to go. Oh, it hurt; it hurt. Not knowing what else to do, how to ease the ache and still be present with it, I desperately asked Spirit to come be with me in the darkness of it all. I took a picture with which I have a special spiritual connection, and pressed it to my heart. I could actually feel Spirit coming in, and, much to my surprise, the sharpness of my torment immediately began to subside. I could sense the space between the molecules expanding to fill the space left by departing pain. At long last, I fell asleep just like that, holding the picture to my heart. When I awoke, I was still clutching that picture at my heart. The pain was 80% gone and quite bearable. I was ecstatic. I was exhilarated. I found myself actually delighting in the whole process. For many years I had pondered the nature of emotional pain. Tracing the neural pathways, I could easily see why physical pain hurt, but what made emotional pain so devastating? Now I finally saw; it was not the pain at all that was the issue…it was the fear of the pain that made all the problems. In my fear of the pain, I had been pulling my energy away from my chakras, which effectively slowed their flow to a trickle, keeping the pain at an easily ignored level. It was this ostensibly protective process itself that hurt so much. In slowing the flow of a chakra to keep out the pain, I was inadvertently shutting out Spirit, too. This not only suffocated my supply of life force, it also increased the agony of the illusion of separation from Spirit. No wonder asking Spirit to come into the pain had worked. It was the reverse of this process. As a result of my new understanding of the mechanics of emotional pain, my relationship with pain has changed dramatically. 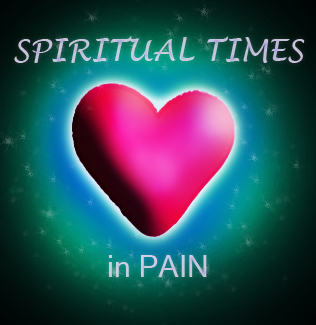 Instead of dreading pain and arranging my life to avoid it, I now look upon pain as a spiritual challenge. From within the depths of my knee-jerk withdrawing from the white-hot pain of life itself, I find myself coming forward and actually welcoming that emotional pain as much as joy. I wonder at the seeming impossibility of that statement. Yet, it has become just one more opportunity to work on staying present and bringing Spirit into my body, with the accompanying ecstasy.